James and Nadine weren't the only stylish couple on that trip. Their social media outfits may be far and few in between, but we'll take whatever we can get—especially when they're this good. Besides, quality over quantity, right? 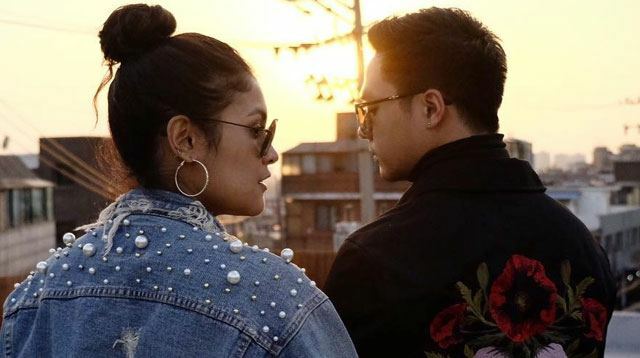 We're talking, of course, about Kiana Valenciano and Sam Concepcion, who just shot up our list of best dressed couples after sharing these cool AF photos from their South Korea trip. The pair, who were in Seoul to watch the Coldplay concert with JaDine, lived up to their cool-kid status by sporting several streetwear looks to inspire you and your guy. Who else wants Sam's oversized hoodie? Millennial pink isn't just for girls, ya know. Kiana, on the other hand, could very well be a young creative in the streets of London. With her black leather jacket and ankle boots, she has that art student look down pat. Now, how about some ~*extra*~ jackets? These styles are practically begging for Instagram posts, tbh. There's really no point going back to plain denim when you can have something strewn with shiny pearls. Or decorated with an intricate floral design. Way to earn the social media likes, you guys.